Former Assemblymember George Nakano announced on March 22 that he is endorsing Wendy Greuel for mayor of Los Angeles. 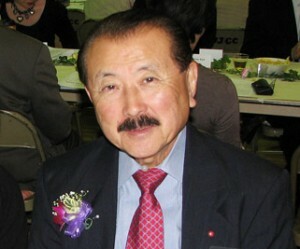 Nakano, who was born and raised in East Los Angeles, remains a popular and respected figure in the Japanese American community. He was elected to represent California’s 53rd Assembly district in 1998. Nakano’s backing adds to Greuel’s recent groundswell of support in the Asian Pacific American community, following on the heels of recent endorsements from Rep. Judy Chu and Los Angeles Community College Trustee Mike Eng. Nakano spent four years in internment camps during World War II. He served on the Torrance City Council for 14 years before being elected to the Assembly, where he was the first Asian American to serve as Democratic Caucus chair and the inaugural chair of the Asian Pacific Islander Legislative Caucus. Greuel is leading in support from public safety groups, labor organizations, and business associations, having earned endorsements from the Los Angeles Police Protective League, the United Firefighters of Los Angeles City, the Valley Industry and Commerce Association (VICA) PAC, the Los Angeles Area Chamber of Commerce’s LA JOBS PAC, and groups representing hundreds of thousands of working men and women.